A wooden grain elevator at Lac du Bonnet, on the CPR Lac du Bonnet Subdivision, was built in 1935 by the Canadian Consolidated Grain Company. 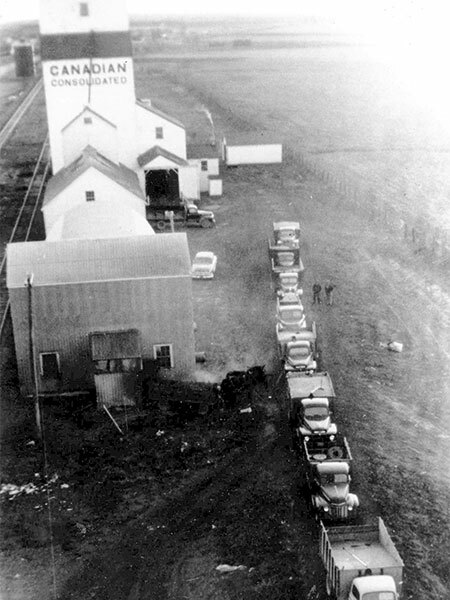 Sold in 1959 to United Grain Growers, it operated as the company’s second elevator at the site until it was closed around 1981 and later demolished. This page was prepared by Gordon Goldsborough and Gus Wruck.